Muddle mint & syrup gently in mixing tin; add other ingredients (besides sparkling wine). Add ice & shake; strain into flute glass. 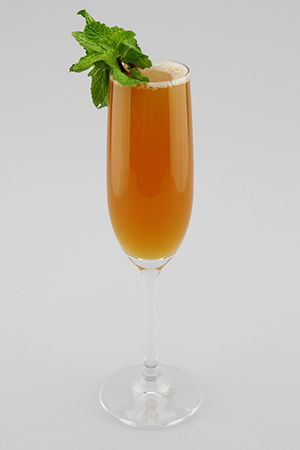 Top with sparkling wine and garnish with a mint sprig.